By Sharon Ellison. 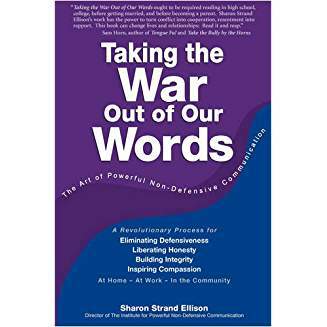 Shows how defensiveness functions and can lead to hurtful power struggles, outlining the six basic patterns: Self-Betrayal, Avoidance , Excuses, Sabotage, Vindictiveness & Blame to express oneself with a blend of vulnerability and honesty. Learn more.